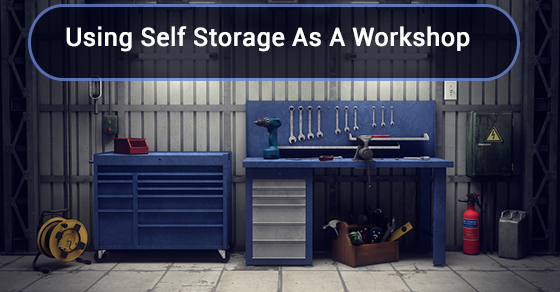 Can You Use Self Storage As A Workshop? As the price of real estate continues to soar across the country, and people are finding it harder to make space for the things they want to do (run a business, comfortably store their belongings), more and more people are turning to self storage units and improvising the space they need. 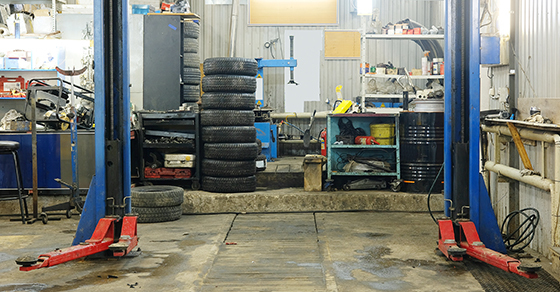 Of the many uses for self storage units, one that is truly underutilized is use as a workshop. Whether you need a workshop as part of your business strategy, or simply enjoy pursuing wood and metal working as a hobby, turning your self storage unit into a fully functional workshop is not difficult. The answer to whether or not you can use a self storage unit as a workshop really depends on what you are going to be working on. For instance, many self storage facilities explicitly prohibit the use and storage of flammable liquids like gasoline on the premises. If you are planning on working on motor vehicles of any kind, you will definitely not be able to keep gasoline in your unit. Additionally, if you are going to be welding, or using anything under pressure, doing so in a confined area like a self storage unit is probably not the best idea. You also need to keep in mind your ventilation needs. If you are using your workshop to paint or to cut wood, or to do anything where there is going to be fine particulate matter in the air, or noxious fumes that could potentially be harmful to your health, a self storage unit is not a good choice. People typically like to work in open air environments, or at least where they can leave a window or door open, when working on things like this. If you are planning on using your self storage unit as space in which to do things like crafts, drawing, painting, assembling furniture, etc., there are few safety concerns. If you are taking apart things like old motorcycles, and not doing any painting or welding work on them, you could also probably get away with making a self storage unit your temporary workshop. The bottom line is: always make sure you check with your facility’s management before doing anything unorthodox with a self storage unit, and ensure you understand the safety precautions you should be taking.